French President Emmanuel Macron has begged Yellow Vest protestors to allow the ‘New World Order’ to regain control of France. Macron pleaded with the thousands of citizens currently rising up and rejecting globalism “to return to normal operation” after several weeks of unrest across the country. “I brought an answer” to the requests of the “Yellow Vests,” declared President Macron during a recent appeal to protesters. 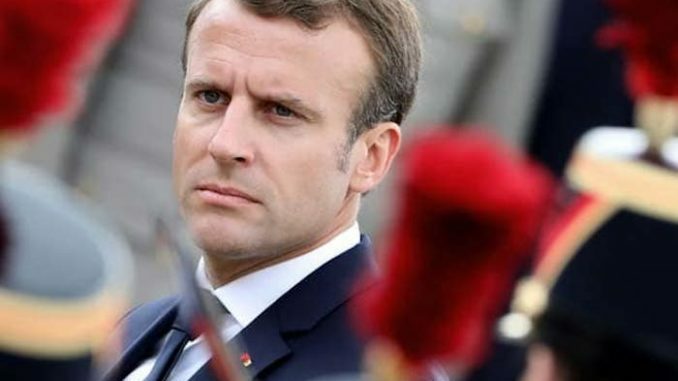 The globalist leader offered an increase in the monthly minimum wage to €100 and an exemption from the CSG (Contribution Sociale Généralisée or Social Charges) for pensioners earning less than €2,000 per month. Reuters.com reports: “France needs calm, order and a return to normal,” Macron said, speaking a news conference after a meeting of European Union leaders in Brussels. The ‘yellow vest’ movement started on Nov. 17 with protests at junctions and roundabouts against fuel tax increases, but quickly became a wider mobilisation against Macron’s economic policies. Three successive weekends of protests in Paris have lead to vandalism and violent clashes with security forces.